For years, scientists have pondered over the question of how cavemen killed six-ton, 3-metre-tall mammoths. Some speculated they were killed after being chased into pits or towards cliffs which they would then fall off, while others theorised the hunters focused on weaker or sick animals. 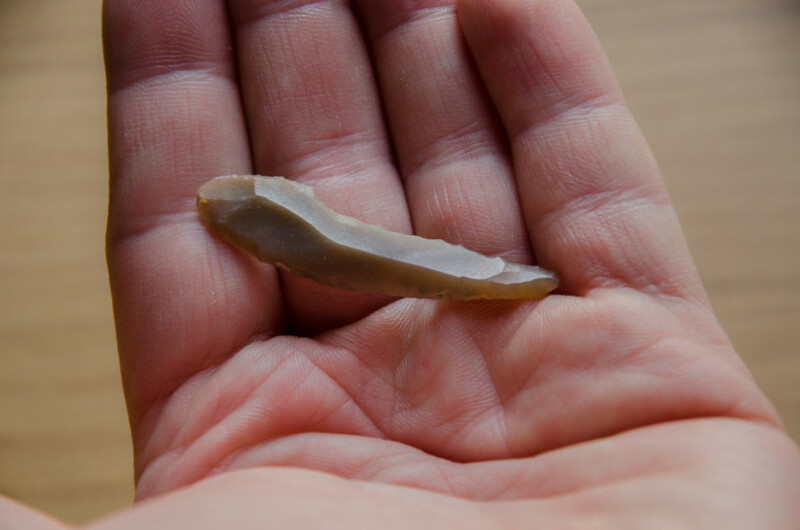 But now a fragment from a 25,000-year-old flint arrowhead discovered in the remains of a mammoth bone in the southern Polish city of Kraków has brought the speculation and guesswork to a close. “From among tens of thousands of bones, during a detailed analysis of the remains, I came across a damaged mammoth rib. It turned out that a fragment of a flint arrowhead was stuck in it. This is the first such find from the Ice Age in Europe!" proves that our Ice Age ancestors were, in fact, hunting mammoths with rudimentary but effective spears. "The spear was certainly thrown at the mammoth from a distance, as evidenced by the force with which it stuck into an animal - the blade had to pierce two centimetres of thick skin and an eight-centimetre layer of fat to finally reach the bone,” Dr Wojtal commented. According to the Prehistoric expert, similar finds from the Paleolithic period are very rare. Flint blades embedded in bones have only been discovered in the case of animals such as bears. 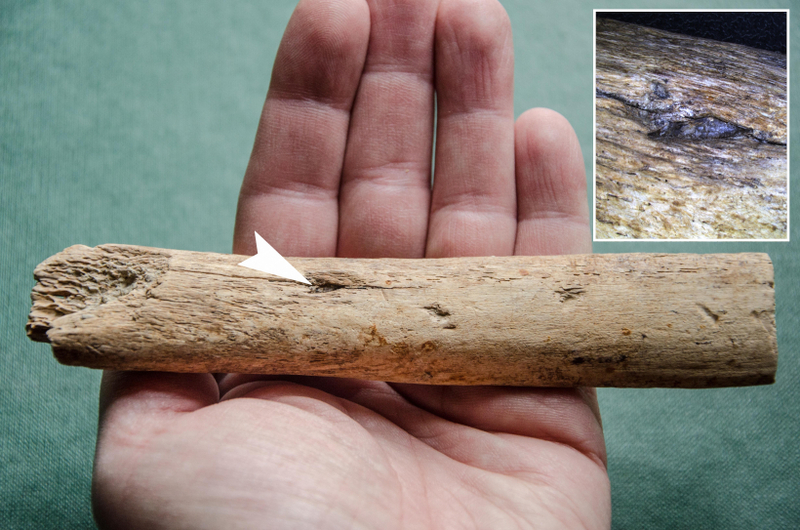 The blade fragment found in the bone is only 7 millimetres long and scientists believe that it is a flint tip broken off at the moment of being driven into the body of the mammoth. As for the mammoth in question, scientists believe that the wound to the rib was enough to kill the animal. Most likely the ambush involved a team of hunters, one of which would have delivered the fatal blow by striking the animal in a more vulnerable place, "probably directly into soft tissues and one of the organs,” Dr Wojtal added. 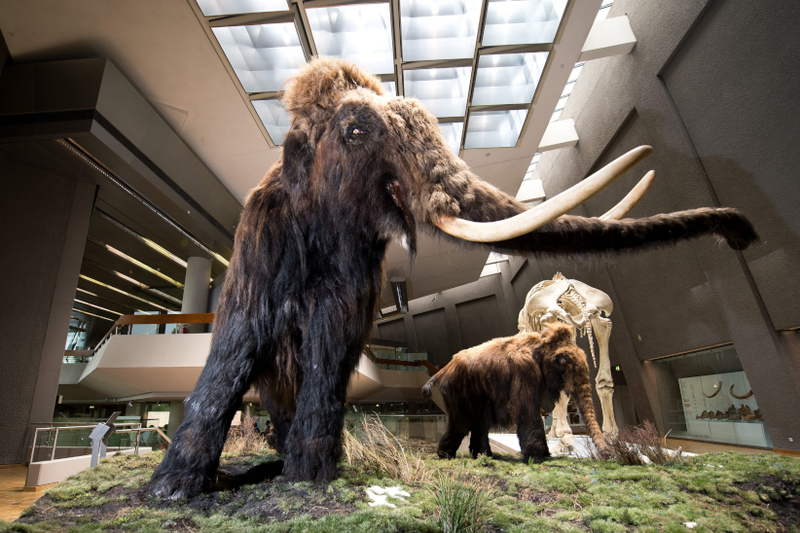 The discovery finally brought together nearly two decades of research and analysis on the remains of 110 mammoths excavated from the city’s Kościuszko Mound. Along with the mammoth bones and other animal remains found at the site, archaeologists have discovered several hundred fragments of flint blades, which means the weapon was widely used. According to Dr Wojtal, half of those found were broken at the tip, probably after hitting a hard object. Kraków Institute of Archaeology of the Jagiellonian University have been working there on and off.